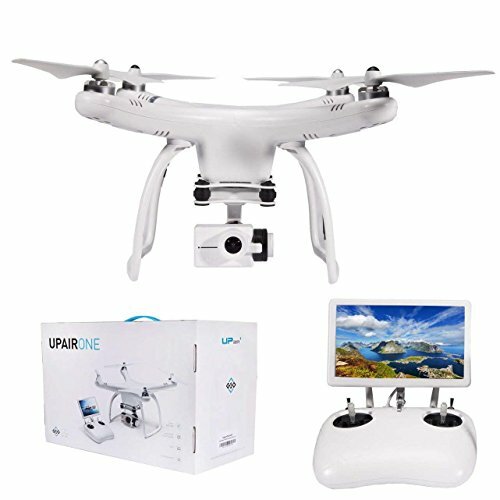 This drone has been released a while ago with the idea to compete with the DJI Phantom drones at an even lower price point. 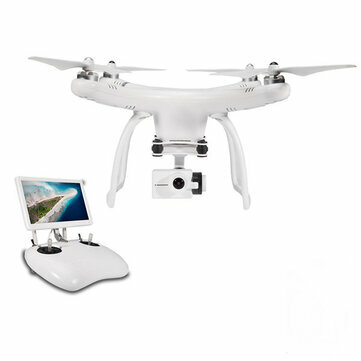 Even in 2019 it still holds itself as a really capable drone for people who have a budget around $300. I really like the fact that you don’t have to attach the phone and it comes with it’s own high resolution monitor. This makes it more ready to fly than most drones on the market now. The gimbal, although just two axis stabilized does a good enough job to get some pretty watchable footage, but don’t expect to use it professionally. 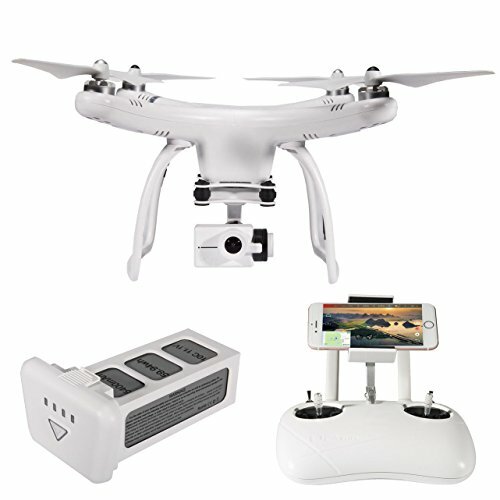 I think the Upair One drone should be used by hobby enthusiasts and beginners mostly. The price differ a bit depending on what version you buy and what camera resolution you might want. 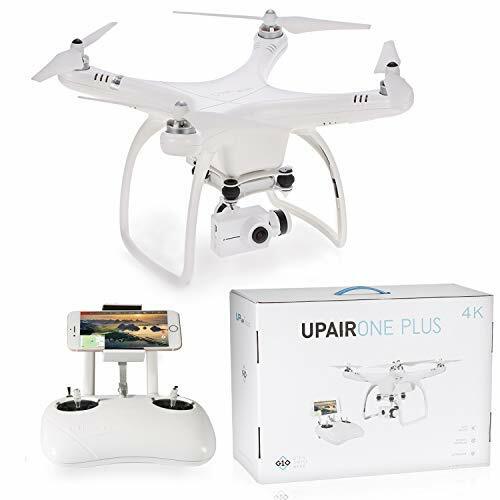 There is a newer version of the drone called Upair One Plus, but frankly I do prefer the older one better, I’ll tell you bellow why. Overall, the drone is quite stable when it comes to GPS and the return to home precision is quite amazing. It’s a really good thing for beginners that it has automatic return to home when low battery or if it loses the signal. The 7 inch FPV monitor in the standard version is quite a blessing in my eyes. Upair has released a new version called Upair One Plus that also comes with either 2.7k and 4k cameras. I recommend you always get the 2.7k camera, because the resolution is quite enough. The new model looks exactly the same as the old one, but it does come with a few particular changes. you have to always connect the phone to it. By the way, you’ll need a 5G wifi capable phone that can handle 802.11ac wifi. You can search on google if you don’t know. The quality of the original Upair one seems better in my opinion, strangely enough. However the fisheye effect is not very cinematic, in my opinion. The Plus version that you can see bellow is more cinematic, but the gimbal seems more shaky for some reason. The transmitter is quite high quality and it’s simple enough for anyone to use. There’s a strong resemblance with the Phantom controllers and I would have preffered it to be smaller. It comes with a big chargeable lipo battery in the back. One strange thing about this is that it doesn’t show when it’s turned on or off. If you're really tight on a budget and want a stable GPS drone with a gimbal for under $300 then the UpAir One might be a pretty good choice for you.